How can I log out/remove an app's account in Station? 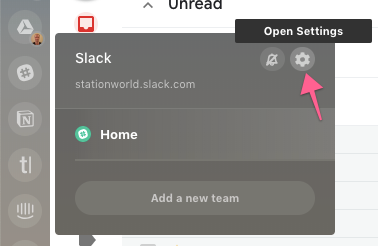 Hover on its icon and click on the gear that appears in the sub-dock top-right corner. Click on the "x" icon at the right of any account to remove it. → You can always re-add accounts later.